I apologise to dedicated pteridophytophiles who will be disappointed by the content of this post but this is about the town of Ferns, the heart of Leinster. 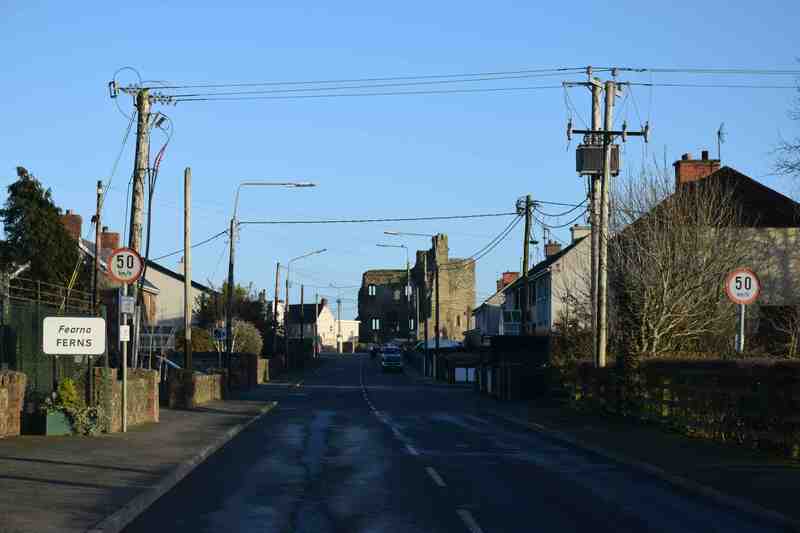 This small town is just down the road from me and it has a history completely out of proportion to what you see today or would expect as you pass through it on the way south on the road that connects Dublin with Wexford – though soon (or soonish) to be bypassed. Ferns dates from the 6th century with the founding of a Monastery dedicated to St Mogue. 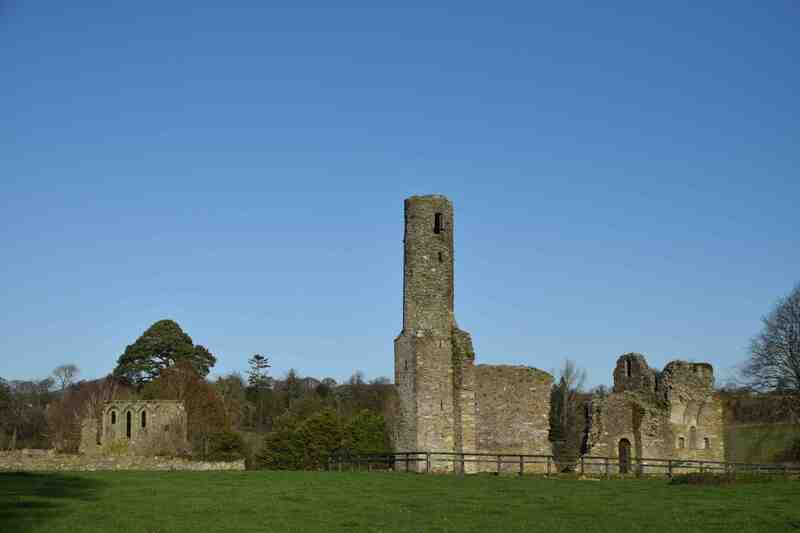 The town, which soon grew in size became the capital of the Kingdom of Leinster and the Capital of Ireland. A lot of the main events in Irish history stem from Ferns. In 1169 Diarmuid MacMurrough, King of Leinster, went to the British Henry ll for help to fight against Rory O’Connor, which was supplied and married his daughter off to Strongbow and gave land to his compatriots. Strongbow was also known as Richard de Clare and was Norman/Welsh, 2nd Earl of Pembroke and then Lord of Leinster and Lord Chief Justice of Ireland. 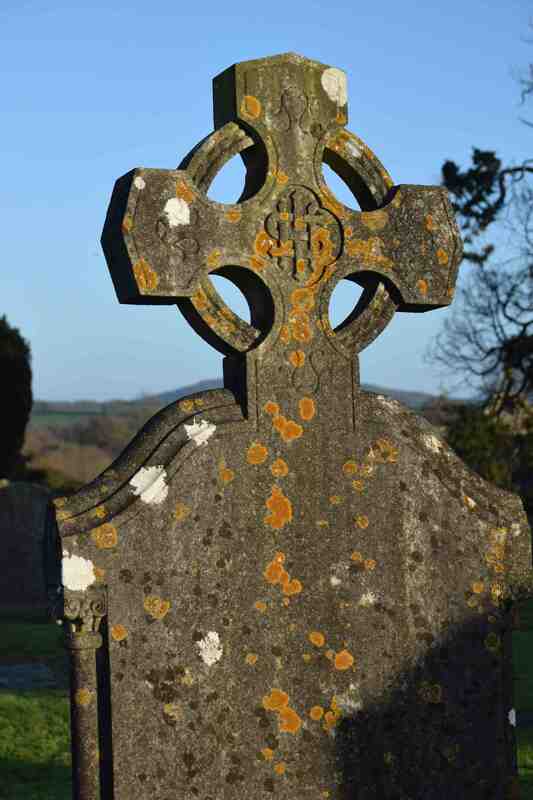 Stronbow’s grave is in the Cathedral churchyard – I must go and have a look! 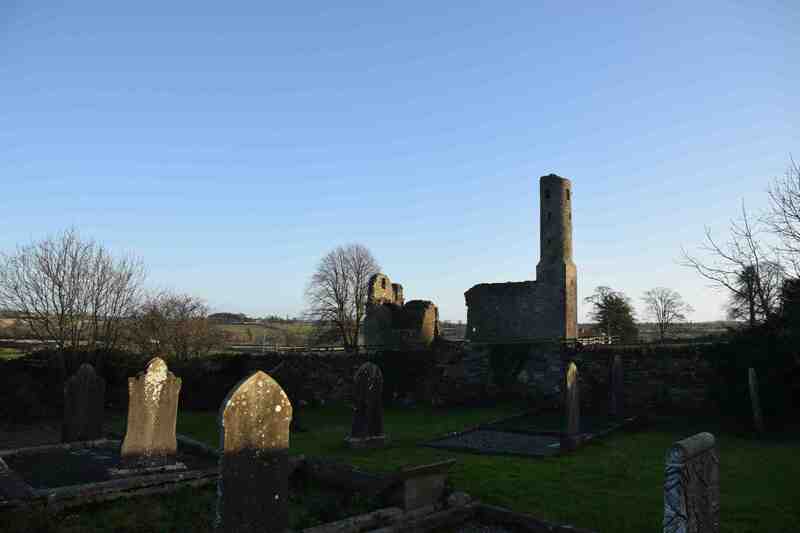 Ferns became so large (it was a city) that it stretched north past the present village of Camolin and beyond the River Bann which is a tributary of the River Slaney (see tomorrow’s post). The population peaked in 1851 but a great fire seems to have destroyed the city and it never recovered its size. The castle of Ferns seen from the east. 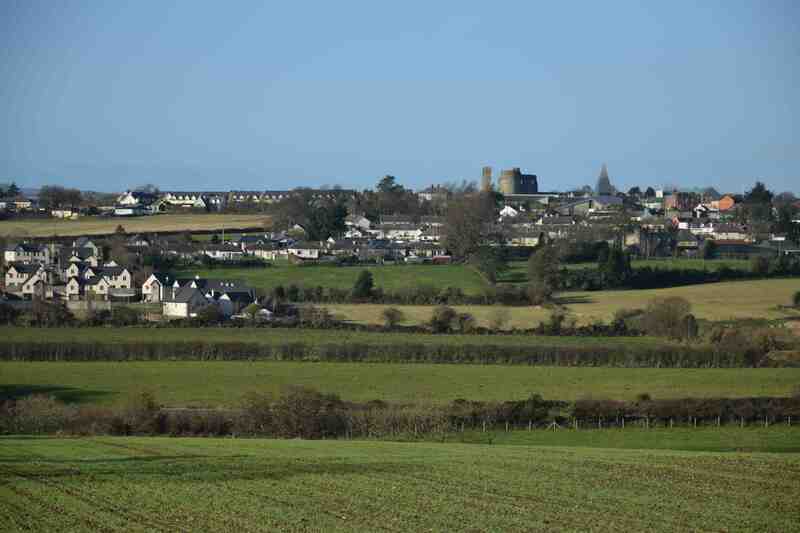 You can see the new Catholic church, St Aidans, to the right. It was built in 1974 and stands in the centre of the town. St Edan’s Cathedral dates from the 13th century although it is not the original one on the site – that lies a few metres north and can be seen in the photo below. 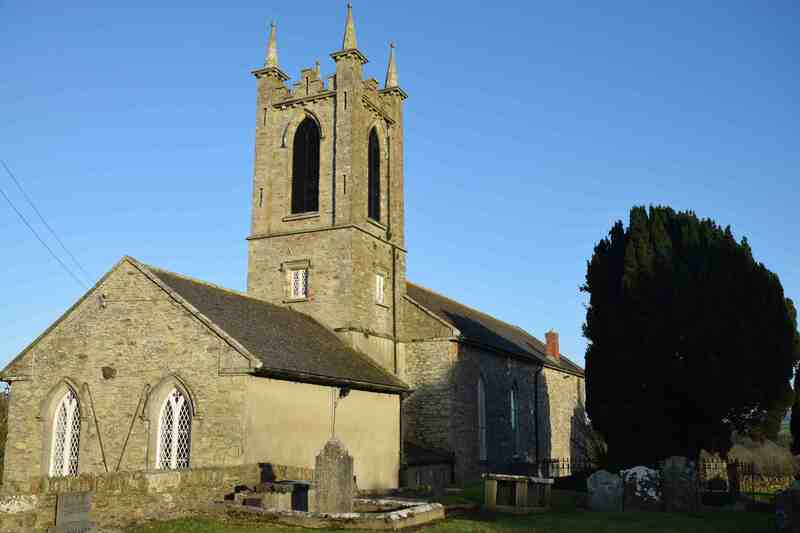 St Mary’s Abbey was built in the 12th Century and was an Augustinian Priory. 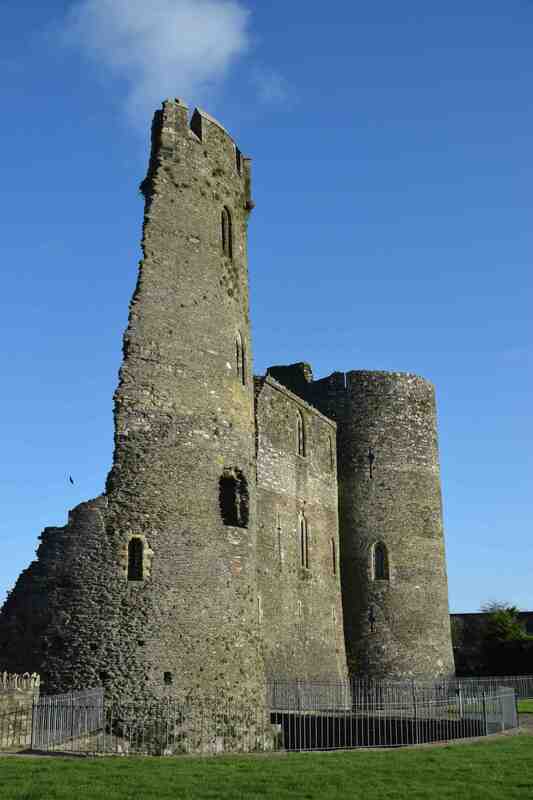 * Ferns castle is owned by the OPW and is open to the public free, from May to September. So ancient, yet it has a charm.